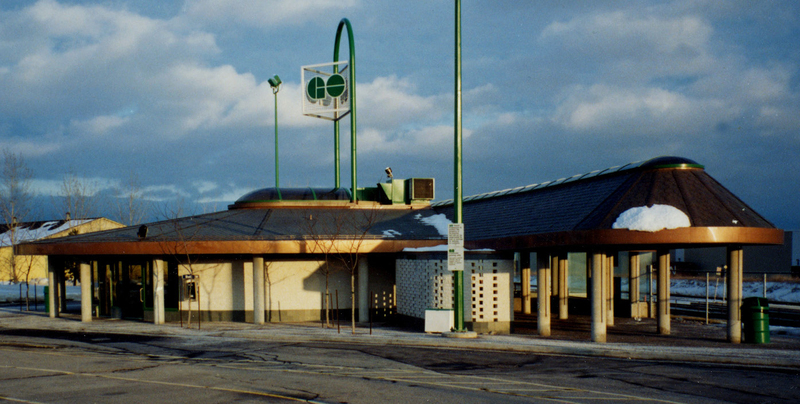 GO Transit: Bramalea Sation - Strasman Architects Inc. 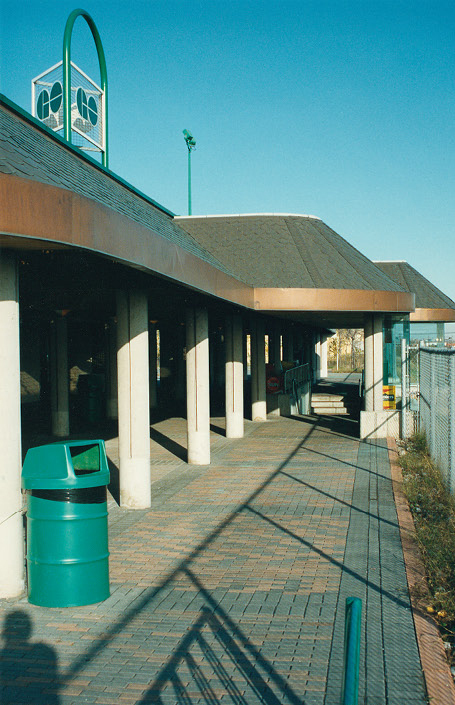 The 1,500 square feet station building includes a waiting area, washrooms, provision for vending machines, service rooms and a ticketing area. Other features include: a sheltered tunnel entrance to the platform, covered exterior bicycle storage, protected area for ticket chancellors, an organized newspaper box system and enclosed exterior site storage. The semi circular form of the station building responds well to the bus platform, the Kiss-n-ride and the flow of traffic from the large parking lot. The ticketing counter is centrally located which gives staff full visual control over the whole parking lot area as well as the bus traffic, Kiss-n-ride and passenger flow. The central ticketing area splits the passenger traffic to the platform into two separate streams. Space has also been provided for ticket purchase queuing eliminating any passenger flow interruption. Skylights have been introduced in both the building and along the spine of the exterior canopies to allow natural light into these spaces as well as into the tunnel entrance. 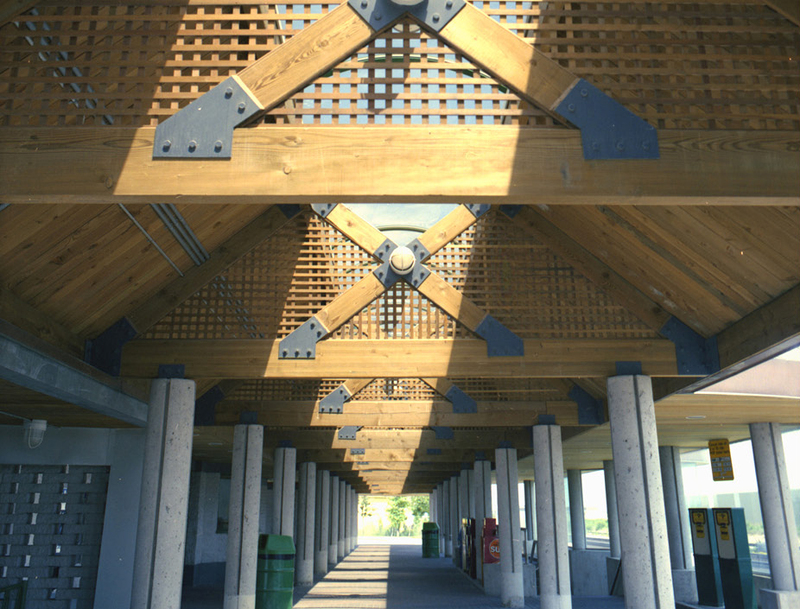 Wood is the prime finishing material for the station building and wood trusses with a lattice infill was utilized for the exterior canopies which are supported on round sandblasted concrete columns. A copper asphalt laminate shingle was used on the roof which has weathered beautifully over the years. 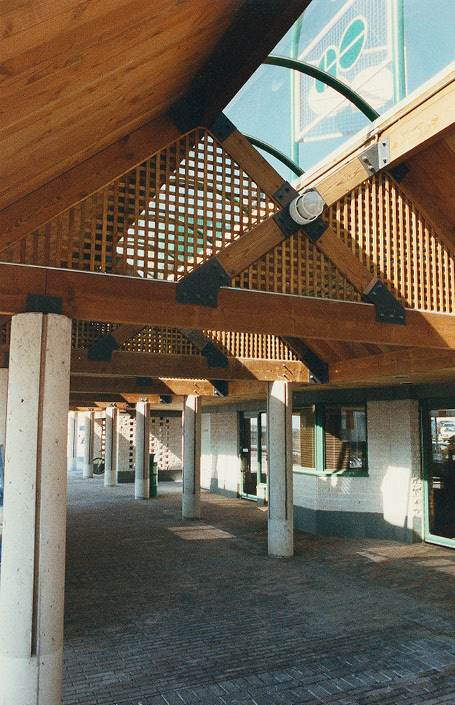 The overall fell of the station and the canopies is one of warmth and comfort. This is particularly important at 6:00 in the morning on a blustery minus 20 degree morning in the middle of winter.